The American Baptist Seminary of the West (ABSW) was founded in 1871 and is the center of American Baptist ecumenical theological education in the far western United States. ABSW is a charter member of the Graduate Theological Union (GTU) since 1962. 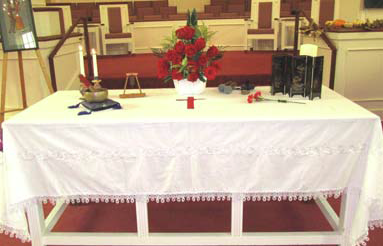 The seminary is affiliated denominationally with ABC USA and the Progressive National Baptist Convention, and admits students from a variety of denominational traditions. ABSW is described on Twitter as Multi-Cultural, Multi-Ethnic, Evangelical, and Ecumenical. 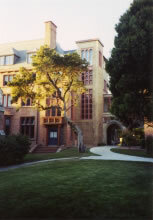 Hobart Hall, the heart of ABSW’s campus, is a four-story brick Tudor Revival building and was designed by one of California’s most famous architects, Julia Morgan. Dedicated in 1921, ABSW is a California state landmark. ABSW offers its students resources through the Graduate Theological Union (GTU), the largest partnership of seminaries and graduate schools in the United States. ABSW students may take classes at 9 other GTU seminaries, and have access to one of the finest theological libraries in the world, a faculty of distinguished scholars, and the resources of UC Berkeley. Through the GTU, students can pursue ABSW degrees as well as Ph.D., Th.D., and M.A., and two joint Ph.D. programs with UC Berkeley. Paul M. Martin is President/CEO and Professor of Pastoral Theology and Michelle Holmes is Vice President/CFO . Many of us remember LeAnn Snow Flesher, Academic Dean and Old Testament Professor, from her visits to FBCPA. We all remember Tripp Hudgins, now Director of Admissions. 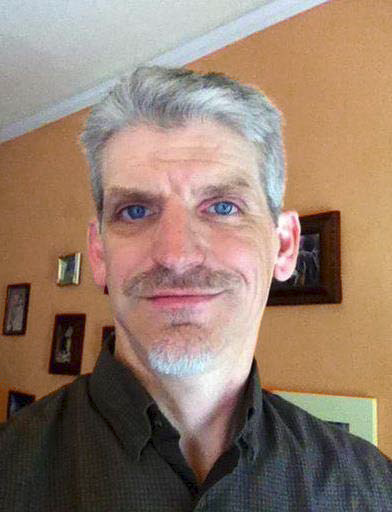 Our church has had many connections with ABSW: Our Minister for Children, Youth & Families, Doug Davidson, is a student at ABSW and his wife, Jennifer Davidson, is Assistant Professor of Worship and Theology. Our pastor is a graduate of ABSW, as are Dona Smith Powers and Lynn Hunwick. The 144th ABSW commencement ceremony will take place on May 16, 2015, 2:00 PM, at Beth Eden Baptist Church in Oakland. The speaker is Bishop Warner Brown Jr., Bishop of the California-Nevada Annual Conference of the United Methodist Church. At last year’s ABSW Commencement, Congresswoman Barbara Lee was conferred an honorary Doctorate of Laws. Our goal of $750 for the April Mission Offering for scholarships will be matched by the ABC Home Mission Society. We encourage you to give generously to continue FBCPA’s longstanding history of support to students at ABSW. Thursday, January 22, 10:00 am: Women’s Brunch at Corner Bakery Café, 3375 El Camino Real, Palo Alto. All women of our church community are invited. Please join us. 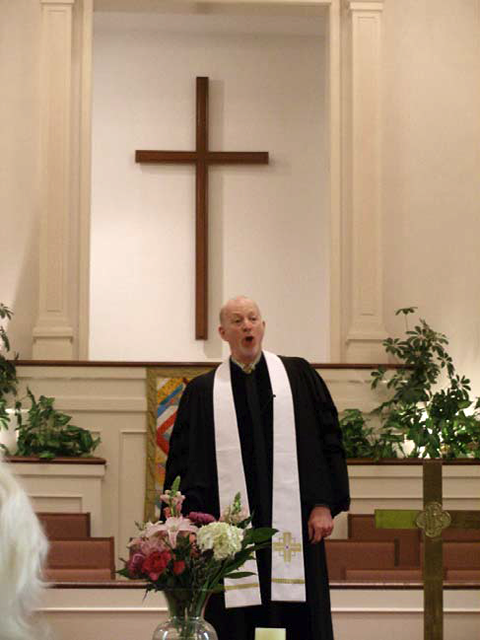 Thursday, January 22, 7:30 PM: Church Choir in the Parlor. New voices are always welcome. “Alive in the Adventure of Jesus: Significant and Wonderful,” Jennifer Davidson preaching. Thursday, January 15, 7:30 P.M.: Martin Luther King, Jr. Birthday Film Screening, Fellowship Hall – in commemoration of Dr. Martin Luther King Jr.’s 86th Birthday, a special screening of Freedom Summer (2014, Stanley Nelson). Sponsored by Peninsula Peace and Justice Center. “Alive in the Adventure of Jesus: Join the Adventure,” Jennifer Davidson preaching. Wednesday, January 21, 8:30 AM: Men’s Breakfast at Palo Alto Breakfast House, 2706 Middlefield, Palo Alto. All the men from our Church family are welcome. “Alive in the Adventure of Jesus: Jesus Coming of Age,” Jennifer Davidson preaching. 12:30 PM: Finance Committee in the Parlor. Tuesday, January 13, Bible Study. 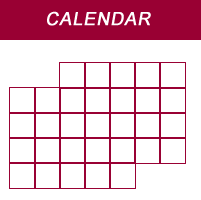 The turning of the calendar presents a wonderful opportunity to assess where we are, and where we’d like to be. What better time is there to think about what is most important to us, and to consider how we might devote our time and attention to those things? What might we do to root ourselves more deeply in God’s love, so that this love might flow through us more fully? At their best, I think New Year’s resolutions are all about asking those kinds of questions, and then seeking to find small and large ways to put our answers into practice. If you’re wondering how you might do that, could I suggest that you join in our Adult Spiritual Formation after worship each Sunday? We have an excellent line up this month. On January 4, Dona Smith‐Powers will be leading a conversation about her experience at a recent conference on Palestine. On the next two Sundays, I will be leading a study of John Shelby Spong’s fascinating book on the Gospel of John: The Fourth Gospel: Tales of a Jewish Mystic. I had an opportunity to take a week‐long intensive course with Bishop Spong this summer, and I think you’ll be intrigued and inspired by his take on this unique Gospel. (The book is a great read, too. We’ll order a few copies for the church, but I’d encourage you to purchase your own copy.) And then on the final Sunday of the month, Dr. Jennifer Davidson will be leading a conversation about her recent experiences with the Black Lives Matter movement as it seeks to challenge racism within the police and criminal justice system. Speaking of Dr. Davidson, I am delighted to say that we’ll have her as our guest preacher for three consecutive Sundays this month while pastor Rick is away on study leave. Jennifer Davidson is the associate professor of worship and theology at American Baptist Seminary of the West. She is a gifted preacher whom you will not want to miss—and I would say that even if we weren’t married! I am delighted to have the opportunity to share the worship leadership with Jennifer during the three Sundays while Pastor Rick is away this month. I’m also pleased to announce that our January mission offering will be going to a special project selected by our youth. In partnership with ABCUSA and Baptist churches in Burundi, our offering will support efforts to promote free‐range chicken farming among families living in one of the poorest areas of that African nation. You can read more about that effort elsewhere in the Spire, and you’ll be hearing more about it each Sunday during January. May we all open ourselves to fresh experiences of God in our midst in this New Year. Blessings to you for 2015! Posted on January 9, 2015 January 9, 2015 Author fbcpaloaltoCategories Doug DavidsonTags Adult spiritual formation, Black Lives Matter, Gospel of John, Jennifer Davidson, John Shelby Spong, Special Mission OfferingLeave a comment on Happy New Year! “Amazing grace! How sweet the sound…” Indeed, it is a sweet sound, sometimes a sound too sweet for our very pragmatic understanding. We all know that salvation can’t be earned but do we really believe it? Do we grasp how thoroughly God loves and accepts us with whatever our limitations and failures? It’s often a struggle to let grace enfold us, to feel its warmth, to bask in its light, to let its healing wash over us, making us whole. So we fail to see that amazing grace is around and within us in the simplest beauties and wonders of daily life – the tree, the flower, the breeze that blows, the stream that flows, the warm smile, the helping hand, the love that forms and sustains friendship and builds community. that Don Ng, the distinguished pastor of First Chinese Baptist Church in San Francisco, is the nominee for President of the ABC‐USA and is taking a key leadership role in this effort at denominational transformation. Don is an old friend whose vision and judgment I trust deeply. It is interesting that this Mission Summit (and the next, in 2015) will be held in Overland Park, Kansas, a place where I lived from 1950 to 1953. Some of my earliest memories are of those days when my father was the founding pastor of Prairie Baptist Church in Prairie Village, Kansas. So, this represents a kind of homecoming for me. I hope to attend that church on Sunday morning of the Biennial. In addition, I will attend the pre‐biennial theology conference at Central Baptist Seminary (the school from which my father earned 3 degrees,) led by our friend, Jennifer Davidson, from ABSW. Then I will stay for the board meetings of the Association of Welcoming Baptists. It will be a full and, I trust, rich week. Wally Bryen will preach on June 23 in my absence. from colonial days to the present. You won’t want to miss the wonderful opportunity right here in our building. And if you’re feeling a little more adventuresome, The Choral Project, the group in which Dan Cudworth, Ruth Winter (who is helping us out in the church choir through June) and I all sing will be presenting concerts in Santa Clara and Santa Cruz on June 8 and 9. Our concerts, entitled “Earthsongs” will cover a cross section of music from the classical to world music to pop music. It will be a fun event as well. More detailed information is available for both groups is available elsewhere in the June Spire. Which brings us back to grace. For me there is no more open door to grace than in the experience of music – heard and performed. I thank God for all the amazing music that has graced my life and, I hope, yours as well. May our lives flow on in endless song and may the God of grace author the music of all our days.